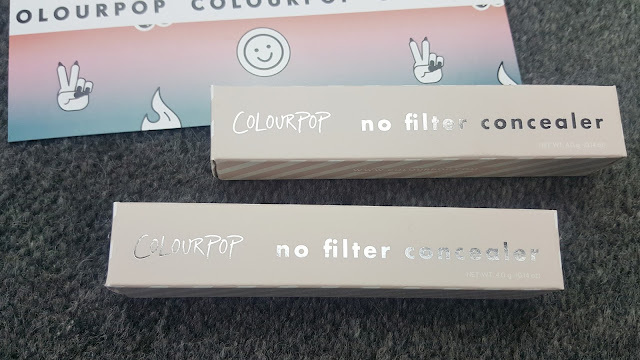 Its Silky: COLOURPOP COSMETICS NO FILTER CONCEALER: MY HONEST REVIEW! COLOURPOP COSMETICS NO FILTER CONCEALER: MY HONEST REVIEW! This month is mostly about base products! 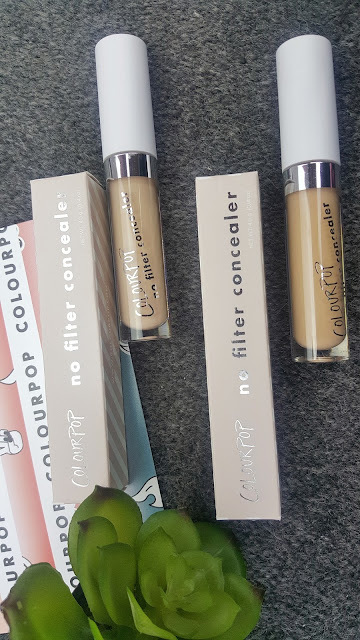 So maintaining the same, I am here with the review of the new buzz in the makeup world: Colourpop Cosmetics No Filter Concealer ! Our lightweight, creamy concealer was formulated with soft blurring pigments to give you a crease-proof, matte finish. No filter needed. Available only on Colourpop website. These are available in 15 different shades ranging from very fair to very dark. Definitely a very vast shade range! Colourpop has always been a perfectionist when it comes to any of their products. Be it their lipsticks or their eye shadows, it is just amazing and one of the cheapest. And now they have extended towards makeup bases. As soon as I came to know about the launch dates, I decided to give them a try. I was not sure about the shades so picked up 2 shades: Medium 30 and Golden 40. To clear my condition: I have dry skin with a lot of fine lines under my eyes and bad dark circles. I eat properly, sleep good but still it is there, so I guess these problems are in my gene and there is not much that can be done. So, my search for a perfect concealer is never ending one! After searching/reading a lot I know that I should not expect any concealer to hide my fine lines completely or make my face look like a blank canvas. Fine lines means that even the costliest concealer will settle in after sometime. So, for me the main criteria to rate any concealer is its ability to lighten my dark circles and my fine lines and not vanish them. Now let's talk about the product packaging. A very simple and stylish one! 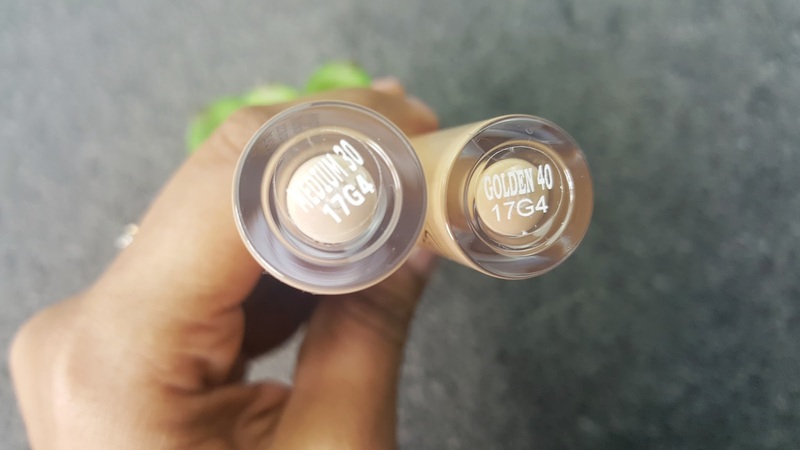 The concealer comes in a glass tube with a white cap on the top. It has a thick silver band just where the cap sits on the tube and the product name is also written in silver, with their shade names at the bottom. It really looks beautiful but also has the disadvantage of using a white cap. If you keep touching the cap, it will soon get all dirty and patchy. I really liked the concealer applicator. The stick is of the perfect length and the applicator picks up quite a good amount of product to use. I can cover my full face (wherever I apply concealer) just by using 1 dip. The applicator helps spread the concealer easily and then you can blend it with a synthetic brush, sponge or your fingers. Now comes the texture. The most important part! 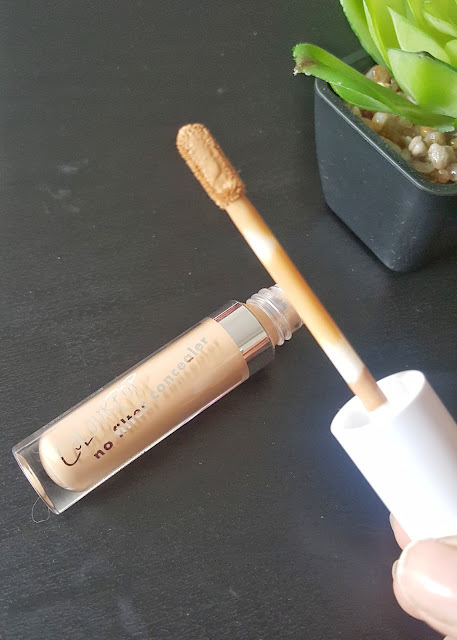 As claimed, the concealer is very creamy in texture and it is very lightweight. You need very little bit of the concealer and it spreads smoothly all over the face. It is good to start with less product and then add more if required as it does not look cakey at all. When ordering, definitely go for a shade lighter as these do tend to oxidise just a little bit with time. I had picked up shade 40 to use as concealer and shade 30 as highlighter. 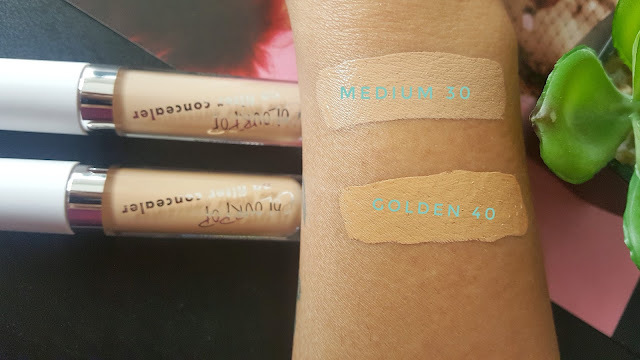 However, since it oxidises, shade 30 seems to be more suitable as my concealer on top of the shade 40. I am in love with the concealer. It does not crease, stays for long and hides my dark circles. What else do I need! I have just used concealer under my eyes and around my mouth and set it with some loose powder. I did not use any foundation to show just the concealer look. 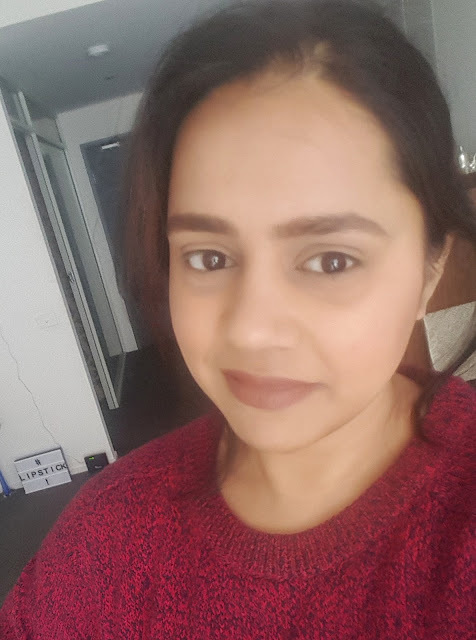 After completing my makeup classes for beginners London , I bought this coloupop one. Just to be mention, I am using L.a girl one for a long time. In between this two, I love l.a girl one most. This gives me a good coverage, long lasting and do not make my makeup look cakey. I love this one really. This is really good.